The D.C. area will see some spring-like temperatures in the coming days -- but first we may have to contend with another bout of snow. After snow showers Satursday morning, tonight will be dry but breezy with wind chills around zero overnight. Sunday will be mainly dry with some light snow possible by the late afternoon for areas west of Washington. Washington may also see some light snow during the evening, but there will be little or no accumulation. Temperatures will be above freezing Saturday afternoon and each afternoon into next week, which will continue to melt the snow. Storm Team4 meteorologist Tom Kierein says it will feel like spring Tuesday through Thursday, with highs into the 50s. The D.C. area was pummeled with between 10 and 15 inches of snow Wednesday night into Thursday. 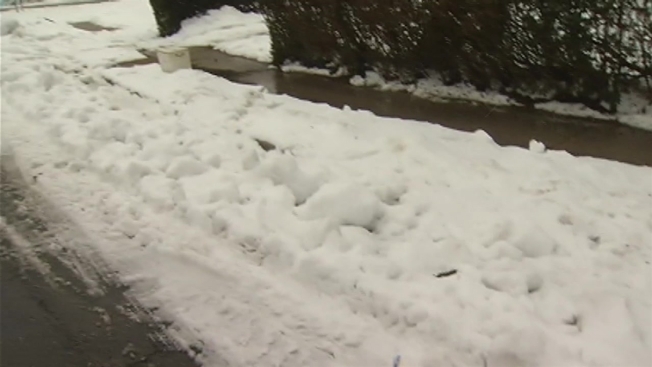 That, paired with below-freezing temperatures, made for slippery and dangerous conditions on untreated roads. School districts -- including those in Arlington, Fairfax, Loudoun, Montgomery, Prince George's and Prince William counties -- were closed Friday because of the inclement weather. 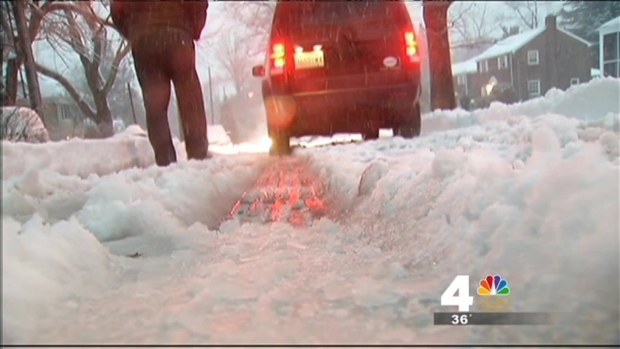 D.C. Public Schools had already been scheduled for a day off Friday. OPM announced a two-hour delay for federal workers Friday. News4's Shomari Stone reports from Northwest Washington from the Storm Team 4X4. This was easily the biggest storm this winter and the most snow we've seen at one time since the winter of 2010-11, said Storm Team4. 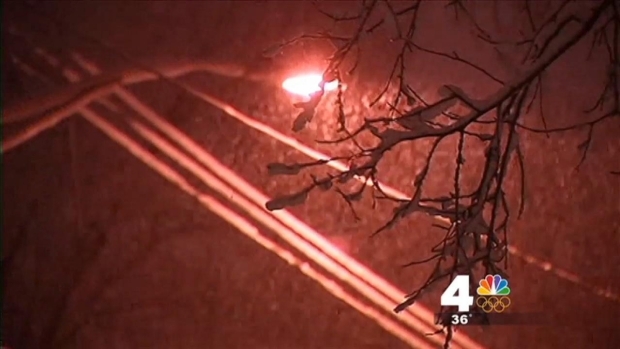 Late Thursday night, D.C.-area highways were still experiencing winter's wallop. News4's Jackie Bensen reports from Rockville. MetroAccess service was suspended until noon Friday. Amtrak will continue operating on a modified schedule Friday. Virginia Gov. Terry McAuliffe and Maryland Gov. Martin O'Malley declared states of emergency in advance of the storm. Mayor Vincent Gray lifted the snow emergency for the District at 6:30 p.m. Thursday, allowing parking along snow emergency routes to resume. The heavy snow also closed both Reagan National and Dulles International airports through most of Thursday evening. As for the roads, local officials are still advising people to avoid driving unless absolutely necessary. The Montgomery County Highway Services Department said side streets will not be fully cleared until noon Saturday at the earliest. "You may have a four-wheel drive; that means you have four wheels that can spin just like two wheels," said Steve Shannon with the Virginia Department of Transportation on Thursday morning. Not everyone was able to stay home, though. One man was parked at a gas station around 4:20 a.m. Thursday after taking his wife, a Metrobus driver, to work. Once he heard that bus service had been suspended, he decided not to go any farther. "So I just thought I'd come here and wait... for her to call me, see if she wants me to come and pick her up," he said. A small number of power outages were reported throughout the area. But Pepco prepared for the worst, with extra line and tree crews available.